Merchant financing opportunities continue to grow for small business owners. Your business could borrow up to $500,000 from alternative lenders through a variety of merchant financing opportunities. Loans exclusively for card- accepting merchants allow business owners to borrow without collateral. In 2017, business owners have had a bright outlook on their possibilities for growth. Having substantial access to funding is one reason why business owners are confident for their potential for growth. With merchant financing through Silver Rock Funding, your business could access more funding than you have ever imagined. Merchant cash advances mean that business can repay funding using their daily receipts. A set percentage is deducted from credit card transactions at the end of your business day. 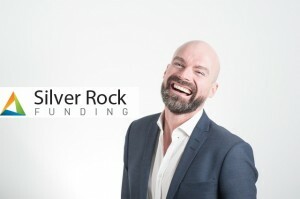 If your business is facing emergency expenses, needs new merchandise, or requires funds to cover any other expense, Silver Rock Funding could help them get approved for a business loan quicker than most others in the lending space. Merchant financing assistance is accessible to your business today. Merchandise funding can help small business owners. Small business owners, in particular, often lack the capital that major corporations have. The Silver Rock Funding team of private investors act as intercessors for these businesses. Your small business deserves adequate funding. Let our team help you this week. Getting approved for merchant financing through Silver Rock Funding is not only simple, but it’s quick. Business owners should have an operating business that’s at least 3 months old. Additionally, income of $10,000 per month is required. The approval process takes around 24 hours. Typically, funds are deposited within 72 hours. If your business needs $25,000 or more, Silver Rock Funding can match you with a trusted lending partner. If you think that your business is qualified, apply for funding now.